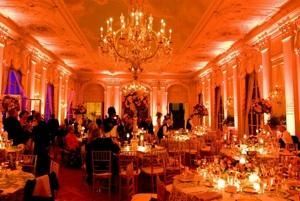 10 LED up lighting fixtures for any event! Set them on a static color or let them cycle through all the colors in the pallet. We drop off, setup, and pickup. Only 1 outlet required to power all the fixtures. Limit up to 8 hours. I the client agree to provide adequate safety, lighting, electrical power and facility requirements. Any equipment damage caused by the event or its guests will be charged to the client. Cancellation of the event will incur a charge of the entire deposit paid. Full payment is due the day of the event, unless a prior agreement is reached. Allure Entertainment reserves the right to charge a late fee up to 50% (of agreed price) if full amount is not paid at the time services are rendered. If a prior agreement is reached it shall be stated in the Special Instructions field above. Entertainment desired later than instructed will be pro-rates at $100.00 an hour. Gratuities for entertainers are not included but are welcomed and appreciated. Please sign or type your name in the field below. By typing or signing you agree to the terms of the contract. I the client agree to provide adequate safety, lighting, electrical power and facility requirements. Any equipment damage caused by the event or its guests will be charged to the client. Cancellation of the event will incur a charge of the entire deposit paid. Full payment is due the day of the event, unless a prior agreement is reached. Allure Entertainment reserves the right to charge a late fee up to 50% (of agreed price) if full amount is not paid at the time services are rendered. If a prior agreement is reached it shall be stated in the Special Instructions field above. Entertainment desired later than instructed will be pro-rates at $100.00 an hour. Gratuities for entertainers are not included but are welcomed and appreciated.